The superheroes from The Avengers: Age of Ultron decided to help you guard the audio jack of your smartphone. Nice idea? Let’s go on for Kid Nations’s earphone plugy series. This is a pretty cool earphone jack accessory series themed by The Avengers: Age of Ultron. 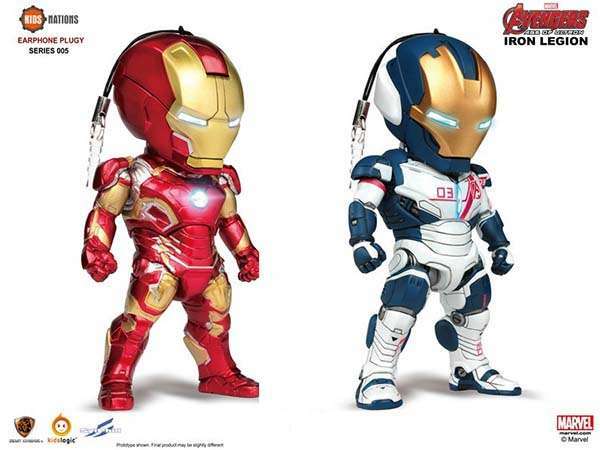 As we can see from the images, the earphone plugy series highlights five iconic characters from the superhero film in the form of mini figure, including Captain America, Iron Man, Thor, Hulk Buster, and Iron Legion. 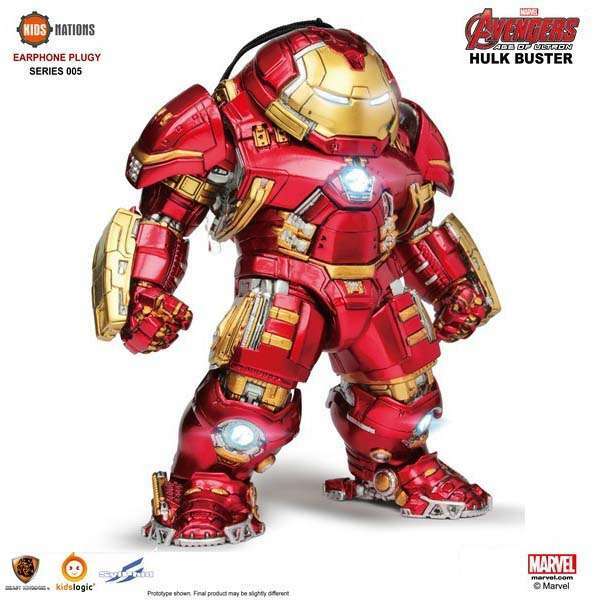 Each mini figure features exquisite detailing and accurate colors, and some interactive elements add vividness to these mini superheroes, such as LED light-up eyes and chest for Iron Man figures, LED light-up hammer for Thor, and more. Furthermore, each figurine comes with an earphone plug strap and keychain strap that allow you to easily attach the superhero on your smartphone, tablet, music player or keychain. 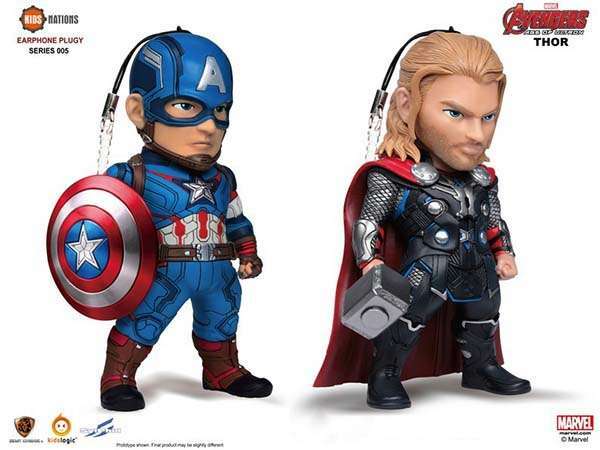 The Avengers: Age of Ultron earphone plugy series is priced at $77 USD. If you’re interested, head to Angolz for more details. Additionally, if you want other options, you may like to check Iron Man 3 earphone jack accessory set and more by clicking following tags.